Red salmon is loaded with health benefits that protect your heart, brain, joints, eyes, and bones, so be sure to leave the bones in for their calcium. The bones are soft and will disappear once they are mashed. I remove the skin but you don't have to. Drain the salmon and place in a bowl. Remove large sections of skin, leaving the bones. Moisten bread with mayo or butter and fill with salmon and lots of lettuce. 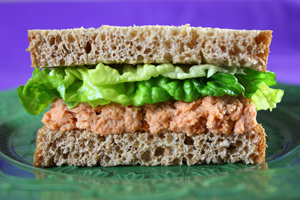 5 Comments on "Salmon Sandwich"
Have been a fan of yours for years. I have found the most delicious recipes on your site and especially love the Polish delights. I was raised in Detroit and made weekly trips to Hamtramck for fresh kielbasa and other sausages. Thank you for this great site and for sharing your talented recipes. Love this simple recipe . Have made it a looong time ago & was glad to be reminded that this IS a sandwich option . Have made it several times since reading your recipe – had it for breakfast this morning & it was even yummy at 9:30 a.m. ! Thank you for the tip about the skin ; I had no idea . Trying to be healthier & your recipes & insights are great . Hi Jenny, I too have made salmon patties for years and have them for dinner occasionally and my husband will eat those but not fresh salmon. 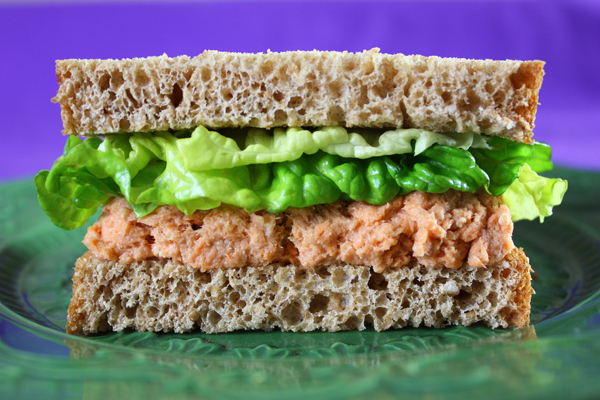 I love salmon in sandwiches and salads and use lowfat mayo and finely diced celery when I mix it and tuna. I was raised eating creamed salmon on toast for lunch or dinner and it is a favorite. 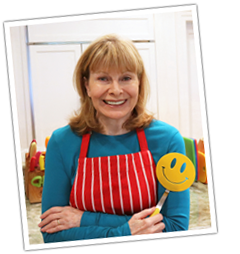 Hi Jenny, i just love your website and all your great recipes! Sometimes I drop in for a short visit and find myself still here after 2 hours! I, too, make this wonderful Salmon Sandwich using Miracle Whip Light and adding about a cup of diced celery for lots of crunch. The 2 flavours go so well together and extra veggies are always a good thing! The added lettuce is a great idea… Thanks! My husband often asks… “Is this one of Jenny’s recipes.” And chances are, It is! Thanks again for all your help in feeding my family deliciously healthy!